Celebrate Earth Day with the Gallatin Conservation District! 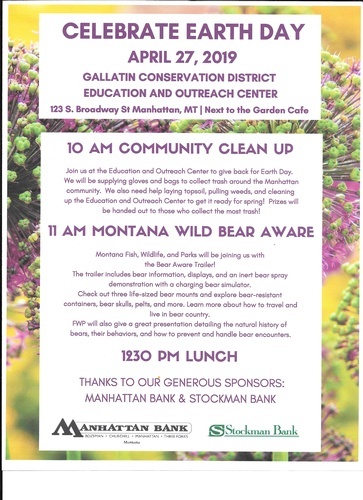 Name: Celebrate Earth Day with the Gallatin Conservation District! Celebrate Earth Day with the Gallatin Conservation District Education and Outreach Center!